time it takes a look at the boys’ club. out an updated weekly prediction charts here). two of the following will indeed end up in the running. Three years ago, two incredibly deserving performances in a film largely centered around the streets of Los Angeles lost out at the Oscar race: Ryan Gosling and Albert Brooks for Nicolas Winding Refn’s “Drive.” Despite critical acclaim, Academy voters passed on both actors, and it seems likely that will the case for two men featured in Dan Gilroy’s successor of sorts, “Nightcrawler.” As psychopathic Louis Bloom as his desperate assistant Rick, Jake Gyllenhaal and Riz Ahmed deliver two of the most impressive performances of the year. But Gyllenhaal — despite giving what many agree is career best work in the film — faces a Best Actor category so stacked with more traditionally Oscar-friendly biopic performances (very much like Gosling did when he was up for “Drive”). Ahmed, meanwhile — a British actor and rapper probably known best for 2010 film “Four Lions” — has to compete in a Supporting Actor category filled with better known actors that are overdue for recognition (like Ethan Hawke, JK Simmons, Mark Ruffalo and Edward Norton). So both will likely fall short as “Nightcrawler” is — like “Drive” before it — probably just a little bit too dark for the Academy’s tastes. Richard Linklater’s “Boyhood” is sure to be something of an Oscar juggernaut, with nominations expected across the board (including Best Picture and Best Director). But the boy at its center is probably not going to be an official part of that. Ellar Coltrane, who was only 7 years-old when he started the 12 year journey that would become the epic performance he ultimately offered in the film, can take solace in a potential career being born out of it anyway. But in a year where the Best Actor category was a little less insanely packed with heavyweight performances from the deserving likes of Steve Carell, Benedict Cumberbatch and Michael Keaton, he’d probably get a nomination. And it would be entirely deserved. Coltrane offers an unprecedented performance as “Boyhood” subject Mason, melting our souls over a decade of character growth that would not have worked if he hadn’t been so game. Here’s hoping at least the Spirit Awards give Coltrane his due. It’s been almost 20 years since Ralph Fiennes got his second and — so far — last Oscar nomination for “The English Patient,” and it’s about time that number increased. And one would think it would happen for Wes Anderson’s “The Grand Budapest Hotel,” a commercial and critical hit in which Fiennes very much led the way. It’s a performance so full of charm and energy, and so different from the ones that led him to Oscar noms in “Patient” and 1993’s “Schindler’s List,” you’d think this was in the bag. But as we’ve already noted, this is not a year where nabbing a Best Actor nomination is remotely close to easy, and Fiennes is not on many prediction lists at the moment. And while we certainly hope that will change (the film is in the midst of ramping up its campaign), it’s definitely doing to be an uphill battle for his “Grand” performance to get the notice it deserves. But it will be an even greater one for his just-as-deserving co-star Tony Revolori. 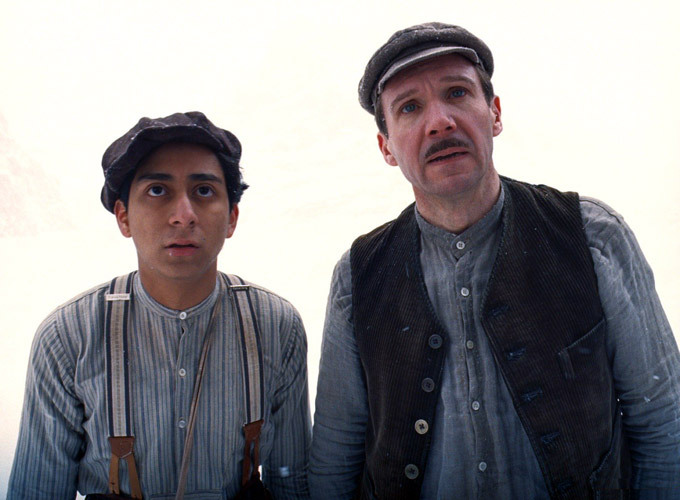 While Ellar Coltrane might be headed for 2014’s breakout status as far as previously unknown actors go, Revolori deserves major credit to for holding his own as Fiennes’ “Lobby Boy” alongside a cast that includes over 10 Oscar nominees, from Fiennes to Tilda Swinton to Bill Murray to Jude Law. Here’s a fun question: How many “Saturday Night Live” alums have gone on to receive Oscar nominations for acting? Five. Which while not a particularly surprising number, the men (and yes, they’re all men) that make them up might be a bit more unexpected: Dan Akyroyd, Robert Downey Jr, Bill Murray, Randy Quaid and Eddie Murphy. Each have been nominated only once, and none have ever won. 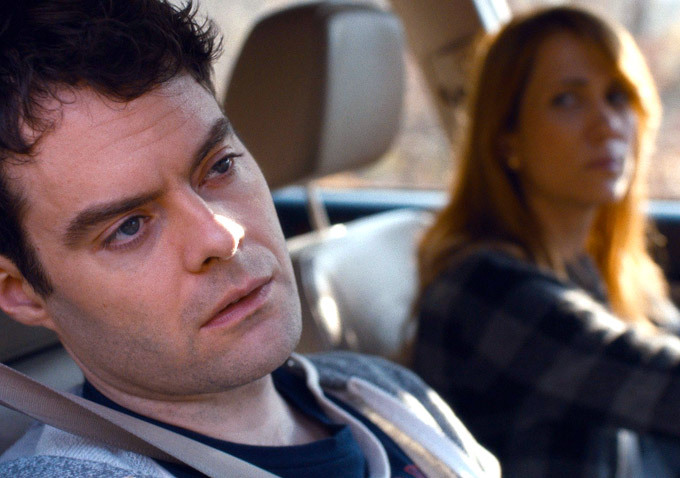 And while it’s probably far-fetched to suggest Bill Hader will become the sixth member of that club, he’d certainly deserve it for his star-making work in “The Skeleton Twins.” As a suicidal struggling actor who tries to reconcile with his sister (Kristen Wiig — who along with Hader and “Obvious Child” star Jenny Slate helps makes up a trio of “SNL” folks deserving of kudos this year), Hader blends gives us a perfect blend of comedy and tragedy in a performance many of us never quite saw coming (but c’mon, he should have had us all at Stefon). 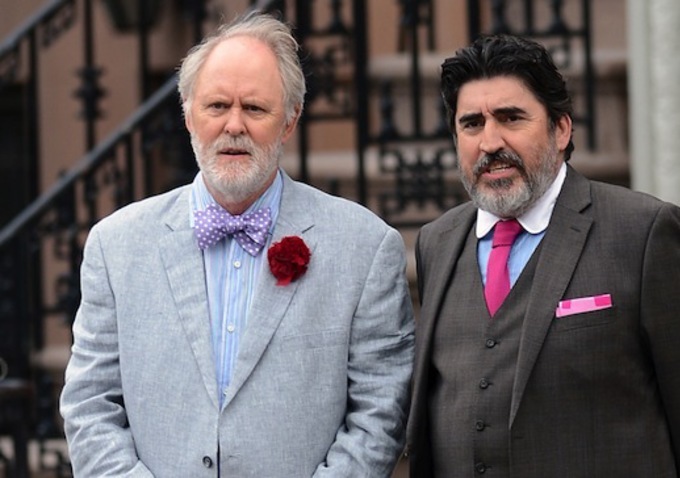 Few performances melted our hearts this year like John Lithgow and Alfred Molina in Ira Sachs’ all-around worthy “Love is Strange.” As Ben (Lithgow) and George (Molina), the two portray an aging gay couple who — after finally getting the chance to tie the knot after 39 years together — run into serious financial troubles when George is fired from his job at a Catholic private school when word gets out about his nuptials. This evolves into a nuanced, beautiful portrait of not only their love but the love of the many friends and family members around them, with Lithgow and Molina providing both the centerpiece of an impressive ensemble and one of the most realized expressions of gay male love to hit American cinemas. Steve Carell and Mark Ruffalo seem all but set for Oscar nominations for Bennett Miller’s “Foxcatcher,” leaving Channing Tatum the odd man out from the film’s primary cast. He’s seemingly campaigning as lead, placing him up against the much more showy performance Carell offers as the paranoid-schizophrenic millionaire who coaches Tatum’s wrestler Mark Schultz. But something absolutely needs to be said for Tatum’s subtle and affecting performance that continues to show how far he’s come from being first cast as a dancer in Ricky Martin’s “She Bangs” music video 14 years ago (!). Whether in comedy (the “Jump Street” series) or drama (here, or “Magic Mike”), Tatum has absolutely proven himself as an actor, and awards recognition is sure to come eventually. But it will take a small miracle for it to be for “Foxcatcher,” as much as it would be deserved if it came true. 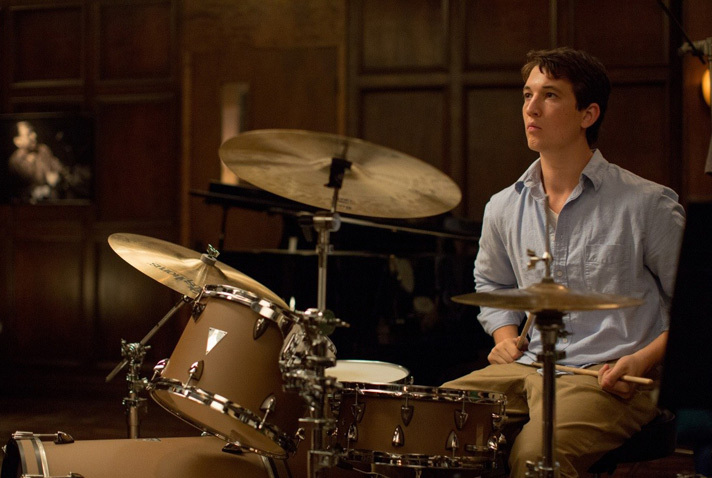 If we weren’t already clear from “Rabbit Hole” and “The Spectacular Now,” Miles Teller made the film world know he was the real deal this year with his staggering work in Damien Chazelle’s “Whiplash,” which won the Sundance Grand Jury Prize and is a sincere dark horse to end up in the Best Picture race. As a teenage jazz drummer accepted into the best music school in the US, Teller’s Andrew Neyman finds himself under the wrath of the school’s infamous conductor Fletcher, played by surefire Oscar nominee JK Simmons. And while Simmons’ nomination will be absolutely deserved (as would his possible win), “Whiplash” is a two-man show, and Teller definitely brings it to a role that might not get him an Oscar nomination, but certainly secures his position as one of the best young actors out there right now. Check out Indiewire’s latest chart of Oscar predictions here.